Padmasaritha K. Reader, Department of Prasuti Tantra Evam Stree Roga, Sri Kalabyraveshwara Swamy Ayurvedic Medical College Hospital and Research centre, Bangalore, Karnataka, India. Ramesh M Professor, Department of Prasuti Tantra Evam Stree Roga, Sri Kalabyraveshwara Swamy Ayurvedic Medical College Hospital and Research centre, Bangalore, Karnataka, India. Pregnant women commonly develop increased vaginal discharge, which in many instances is not pathological. Pregnancy is associated with specific anatomical, physiological and immunological changes that can predispose to infection and also alter the response to the disease process. Infections in pregnancy demands prompt adequate and careful management. Vulvovaginitis during pregnancy may be considered under the umbrella of Upapluta Yonivyapad. Pregnant women are more prone to vulvovaginitis which is a great challenge for obstetricians today. In Ayurveda, Upapluta Yonivyapad described by Acharaya Charaka, Sharangadhara and both Vagbhata can be compared to vulvovaginitis during pregnancy. Here Panchawalkala Kwatha Prakshalna followed by Jatyadi Taila Pichu externally and Tab Leukol internally has been used to correct Garbhini Upapluta. KAPOOR, Karishma; K., Padmasaritha; M, Ramesh. MANAGEMENT OF UPAPLUTA YONIVYAPAD (VULVOVAGINITIS) DURING PREGNANCY - A CASE STUDY. 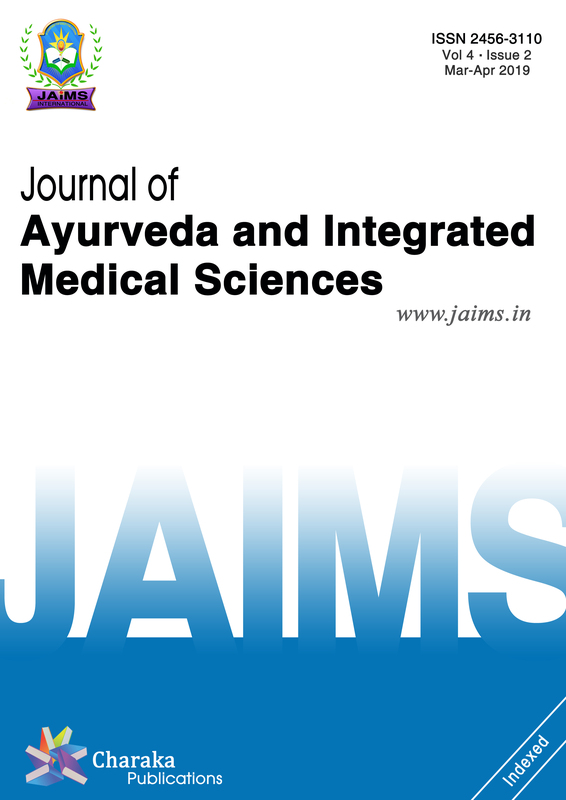 Journal of Ayurveda and Integrated Medical Sciences (ISSN 2456-3110), http://www.jaims.in/index.php/jaims/pages/view/Citation, v. 3, n. 5, p. 238 - 241, oct. 2018. ISSN 2456-3110. Available at: <https://jaims.in/index.php/jaims/article/view/687>. Date accessed: 25 apr. 2019. doi: https://doi.org/10.21760/jaims.v3i5.13851.